We are very delighted with the financial support of the Wilde Ganzen (Wild Geese) by helping to realize the Matumba Footbridge project this year. 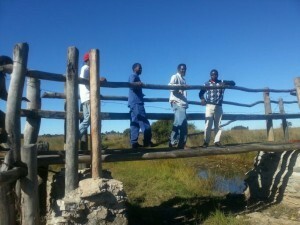 Our contactperson Philip Bohwasi, social worker in Zimbabwe and president of the Ten Foundation Trust there, brought this project to the foundations’ attention: the Mission Post Dria Fountain received a footbridge over the nearby river Sashe about four years ago from the philanthropist Mr. Matumba. Unfortuntately, heavy rainfall has damaged the bridge each year, cutting off access to many people in nearby villages to the Mission Post. It prevents them access to basic necessities such as the hospital and the elementary and high schools. By the help of Wilde Ganzen en CAOS, Conference Organisers, Ten Foundation will make this bridge solid and sustainable.